This photograph is of one of the (many!) weather vanes on top of the Bavarian Inn Restaurant and shops in Frankenmuth, Michigan. CollieSmile Uploaded by CollieSmile on Apr 5, 2019 . Weather Vane & Flags - Desktop Nexus Architecture Download free wallpapers and background images: Weather Vane & Flags. Desktop Nexus Architecture background ID 2475045. This photograph is of one of the (many!) 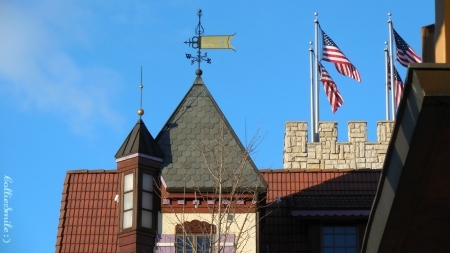 weather vanes on top of the Bavarian Inn Restaurant and shops in Frankenmuth, Michigan.